Located in the quaint town of Northfield, Minnesota, Carleton College is a small liberal arts college that prides itself on its recognized excellence in undergraduate teaching and especially on its record of producing a number of students who pursue careers in science. It’s small class sizes — an average of 18 students per class — can really appeal to students who seek those kinds of intimate educational spaces. Admissions to Carleton College are relatively competitive. The acceptance rate for Carleton is 20%, with average SAT scores of 2135 (old standard) and 1410 (new standard). The average high school GPA for admitted students is 4.0, and the average ACT score is 31. Each class size is fairly small: Out of 6,500 applicants in 2016, it accepted 1,430 students for the class of 2020. Small liberal arts colleges provide a bounty of advantages and perks for those that seek a rigorous academic environment and personalized academic attention. Academics at Carleton are fairly unique: It is one of the few liberal arts colleges that runs on a trimester system, and emphasizes a strong commitment to interdisciplinary learning. That being said, the small class sizes and rural environment may not appeal to everyone. Nonetheless, Carleton College offers a great four-year experience through an engaging liberal arts education. The first prompt asks when you first learned about Carleton. While this may on the surface seem only to require a brief, factual response, the word limit (150 words) tells us that the school is actually seeking a more developed response to this question. In responding to this prompt, it’s important that the response you give is differentiated from that of the second prompt. While the first prompt deals with your initial exposure to Carleton College, the second specifically asks about why you are applying. Thus, while you should discuss your interest in Carleton in some capacity in your first response, you want to avoid too much overlap with your essay for prompt 2. A good way to start this essay might be with an anecdote about the exact moment you learned about Carleton. Note that the phrase “learn of” can be interpreted with some flexibility; while you can obviously speak about the first time you ever heard of the school, you can also discuss the moment you realized it was the perfect place for you after months of your parents pushing you to apply. However, note that this prompt also serves to inform admissions committees which of their outreach methods are most effective. You should make at least some mention of the method through which you initially heard of the school, be it through an email, college fair, word of mouth, etc. You should also notice that this question asks when you first learned about Carleton. If your discovery of Carleton was spurred on by a newfound interest in liberal arts colleges your junior year, or your conviction since your sophomore year that you wanted to leave your home on the west coast and explore new parts of the country, you can tie in your developing interests at that period in your life with your discovery of Carleton. This offers admissions committees insight into the process by which you decided to apply, and for how long you’ve been interested in a Carleton education. For example, a student with two older siblings in college might have gained an understanding of the cons of the quarter and semester systems from an early age. Knowing from the beginning of their college search that they wanted an alternative to these two options, they could have discovered Carleton with its trimester system early in their junior year and had their heart set on attending ever since. Their essay could provide both a factual account of when and how the student first learned of Carleton College, while also communicating the student’s lasting interest in the school and desire for a unique educational experience. While describing your lifelong desire to attend Carleton could make for a great essay, you shouldn’t write about that if that hasn’t been your experience. Even a story of discovering the college a week before the application deadline can make for a compelling essay, so long as you communicate what exactly about it stood out to you. The second question is fairly straightforward: Essentially, explain why you want to be a student at Carleton College. Although the prompt is clearly understood, the challenge here is fitting a compelling narrative in a mere 250 words. A key to answering these “Why us?” questions is to focus on specifics of the school. If you are really interested in studying the Classics, do some research on the the college’s website on their Classics department and mention specific professors and courses that appeal to you. Given the short nature of the prompt, we at CV would suggest focusing more on your interest in Carleton and the opportunities it offers than your personal experiences in your response. How you came to be interested in a certain subject can be a good place to start off this prompt, but it is important to show a demonstrated interest in the school and persuasively show why you are a good fit. An example of a bad way to approach this prompt would be to provide too much autobiographical information in your response and fail to make your response tailored to Carleton. For instance, if you want to talk about your interest in biology, don’t spend the majority of the prompt telling the story of that one time you went on a camping trip and became fascinated with other organisms and only mention the school in the last two sentences. A key challenge in this prompt is incorporating just enough autobiographical details to give the adcom context for your interest, while still conveying a focus on the school. Think strategically about how this prompt fits in a broader narrative about yourself that you have set up in other parts of your application. If your Common Application essay was all about your interest and fascination with biology, this could present a good opportunity to contextualize those interests to this specific school. The second question — “Carleton is powered by wind turbines. What empowers you?” — is essentially an inquiry into your personality and the forces that drive you to seek out a quality education. The preface to this question invites the possibility of creative responses. If you’re someone whose personality would best match with a creative response, then go for it! The key to a creative response to this is that no matter what you say “empowers you,” you write a thoughtful meditation on why that is the case. In choosing the creative route, it’s okay to have a topic that’s cheeky or witty so long as the explanation reflects thoughtfulness, personality, and authenticity. This prompt is also an opportunity to share a powerful story or experience that drives you. If you are especially passionate about a particular profession or interest, this can be a chance to delve further into why you are driven by that. If you have an inspiring story about a time where you faced a strong adversity, you can choose to share that here. The key to this prompt is to tell give a response — creative, inspiring, or otherwise — that ultimately highlights an attractive quality about yourself. If you give a creative response, your goal can be to demonstrate that you are capable of the kind of critical thinking that a liberal arts college will require. If you give a more personal, emotional response, you can aim to demonstrate qualities such as determination, compassion, or strong ethics that will resonate well with a reader. The next series of questions ask you for a word or two in reaction to a series of words they present to you. These questions are just for fun and are intended to provide a glimpse of your personality and what you’re like as a person. There’s no one way to answer these questions, and the best way to approach them is to answer them honestly. If you’re the kind of student that Carleton wants — intellectually curious, fun, personable — that should come across fairly easily in your responses. Again, you don’t have a lot of words to answer these questions, so the focus on brevity and concise statements is once against important. These are fun questions, so try to have fun responses! Students at Carlton College have an exciting opportunity to enjoy all the benefits that a small liberal arts college has to offer. These prompts actually require you to share quite a bit about yourself in a short amount of space — they want to know why you want to go there, more about your life, and a bit about what you’re like. These are key challenges that they expect future liberal arts students to be able to tackle well. 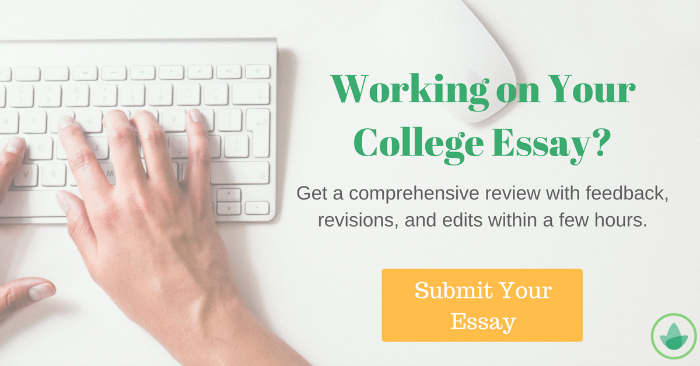 Here at CollegeVine, we are well equipped and experienced to help you craft quality essays that will help you secure the liberal arts education of your dreams.